Although children take responsibility for taking their medications at different ages, involving parents, and where possible children, in decision making is key to medicines optimisation. Children are often not present when their parents collect their medications from the pharmacy, preventing them from receiving counselling by community pharmacists. Children are a complex group of patients, not only because of their differences in drug handling, they are also at greater risk of medication errors. Children and young people use accident and emergency (A&E) services more frequently than adults, and recurrent emergency admissions are common, especially for children with chronic conditions such as asthma and epilepsy. In 2015–2016, ten conditions accounted for 42% of all emergency admissions for children and young people in the UK (see Figure 1), with the top three being viral infections, acute bronchitis and other upper respiratory infections, respectively. The ten conditions included in this figure accounted for 42% of all emergency admissions for children and young people in the UK in 2015-2016. The Care Quality Commission (CQC), the independent regulator of all health and social care services in England, surveyed all children who were discharged from hospitals from 137 NHS acute trusts during August 2014 to ask about their experiences of the care they received. Where a child was under eight years old, their parent or carer completed the survey. The overall response rate was 27% (n=7,253). The survey found that although parents generally reported a very good experience of hospital care, they highlighted the need for improvement in the availability of information provided on discharge. Around four in ten (39%) children were given new medicines to take home from hospital, and almost all parents and carers (92%) said they were given some information about these. Less positively, more than a third of parents and carers (35%) did not feel fully involved in decisions about their child’s care and treatment. Involving parents, and where possible children, in decision making is key to medicines optimisation. Communicating with and involving children in taking their medications will have a significant impact on their adherence. Children take responsibility for their medications at different ages — young children often take responsibility for taking medications especially in chronic conditions such as asthma. A study in the United States by Boztepe et al. found that children were independently managing their medications, even though they had minimal knowledge about the medicines. Children are often not present when their parents collect their medications from the pharmacy and, therefore, this prevents them from receiving counselling by community pharmacists. Interestingly, the CQC found that 13% of children aged 12–15 years said they had no involvement in decisions about their care while they were in hospital. Therefore, although communicating with parents is essential, where appropriate, children should also be involved in discussions about their medications. This article explains the importance of communicating to parents and their children about their medications, and the role of the pharmacist, using practical examples. Effective communication is responsive to the needs of the whole patient and family dynamic. Healthcare communication is different to the conversations we have with our family and friends in our everyday lives, because intimate and very private issues are often discussed. Partnership building: the extent to which the doctor invites the parents (and child) to state their concerns, perspectives and suggestions during the consultation. These elements should not be limited to just doctors; they are useful for all healthcare professionals to ensure useful communication. Parents’ most frequent criticisms of healthcare practice concern relationships with healthcare professionals; these relationships have a dramatic effect on parental satisfaction, recall of instructions and, not surprisingly, treatment adherence. For example, if parents feel openly able to discuss barriers to giving medications then healthcare professionals are better able to support the family. Whose responsibility is medication taking? Children often have to rely on their parents and/or carers to administer their medications. In England, Wales and Northern Ireland, parental responsibilities may be exercised until a young person reaches 18 years, whereas in Scotland this is until the child is aged 16 years. However, the law states that competent children can consent to diagnosis and treatment on their own behalf if they understand the implications of what is proposed. Their right to change their minds or to ask for a second opinion. The General Pharmaceutical Council, the independent regulator for pharmacy in Great Britain, has nine standards which all pharmacists must abide by. Standard three states that pharmacy professionals must communicate effectively. This includes adapting the communication to meet the needs of the patient being communicated with, and asking questions and listening carefully to the responses, to understand the patient’s needs and come to a shared decision about the care provided. 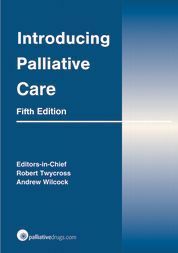 In 2013, the SalvaDore, the professional leadership body for pharmacists in Great Britain, published good practice guidance for healthcare professionals. The guidance highlights the need for medicines optimisation, as it is well recognised that up to half of all patients do not take their medicines as recommended, which can lead to patient harm and medicines wastage. If 8% of parents feel they do not have enough information about their child’s new medications, is it fair to expect these parents to be able to give their children medications appropriately and safely? Ensure parents know where to get ongoing supplies of their child’s medication from. Asthma and epilepsy continue to be among the common causes of emergency admission for children and young people, suggesting problems in how these are managed in the community. Improved discharge planning for children and young people with asthma and effective management of their condition in the community can help avoid unnecessary admissions. Many hospitals now have asthma clinical nurse specialists who will ensure patients are given an asthma plan which will include the following information: what triggers the patient’s asthma, their peak flow, what medication they should be taking, a weaning plan, an emergency treatment plan and guidance to help patients decide if their asthma is getting worse. Despite this, the National Paediatric Asthma Audit found that less than 60% of children and families were provided with a personal asthma action plan on discharge. This led to a hospital readmission rate of around 15% within two months of discharge home from hospital. If parents were better informed about how to manage asthma at home, even a modest reduction in readmissions would equate to a substantial number of hospitalisations avoided. A written asthma action plan includes all the information patients need to look after their asthma well, so patients are likely to have fewer symptoms and significantly cut their risk of an asthma attack. Using an asthma plan means patients are four times less likely to be admitted to hospital because of their asthma. Studies have found that parental education level did not influence the level of asthma knowledge, rather the motivation and the type of asthma education had the greatest input. The education of parents improves morbidity, knowledge, compliance, self-management,, the control of asthma, and quality of life,. Therefore, communicating with parents about asthma symptoms and how to manage asthma is essential. Practical ways pharmacists can help parents of patients with asthma are included in Box 1. Know when their child needs to follow their emergency treatment plan. Although improvements have been made in epilepsy care, there is still a need for improved communication between healthcare professionals and families. Any child with epilepsy who has experienced a prolonged seizure should have a written emergency-care plan for the management of prolonged seizures, and appropriately prescribed rescue medication for community use. A review of the quality of care of children and young people with epilepsy found that emergency-care plans were identified in fewer than half of cases and were only followed in a small proportion of cases. This was also associated with failure or delay in the administration of rescue medication. Practical ways pharmacists can help parents of patients with epilepsy are included in Box 2. Understand how to use their rescue medication: for example, buccal midazolam should be given for seizures lasting longer than five minutes, the full amount of solution should be inserted slowly into the space between the gum and the cheek (buccal cavity) and that an ambulance should be called immediately. When patients are discharged home from secondary or tertiary care, a copy of the discharge prescription should be sent to their GP, so that they are able to continue prescribing. However, community pharmacy teams report a lack of communication from secondary care and also from GPs. Sometimes there can be a delay in the discharge letter reaching the GP, despite this usually being sent electronically. Most hospitals will ensure patients are given a two-week supply of medications to go home with to allow time for the GP to receive this information. However, pharmacists should be aware that sometimes they may need to increase this supply if they anticipate any problems. For example, patients who might be going away on holiday, or medications that they know can take time to order in (eg, a Special such as topiramate liquid. Further, not all medications are appropriate for a GP to prescribe. For example, in Northwest London there is an integrated formulary that is a list of medicines for adult patients only. The formulary does not generally include unlicensed preparations, nor does it include most paediatric formulations. 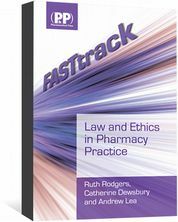 Prescribing of unlicensed medicines should usually remain the responsibility of the clinician initiating treatment, although the decision to prescribe is left to the discretion of the GP. Each region will also have a red list, which is a list of medications that hospitals should not ask a GP to prescribe. When patients are being discharged home from hospital with medications, it is important that hospital pharmacists ensure that parents are given sufficient supply until further supplies can be obtained. This could be from community pharmacies, homecare or from the hospital, depending on what the medication is. This can be difficult for parents as they are then expected to obtain some medications from their local pharmacy and some from the hospital pharmacy. This should be clearly communicated to parents so they understand whose responsibility prescribing is and how they can obtain further supplies of their child’s medications. Hospital pharmacists and medicines management technicians can help by explaining to patients where each medication will be supplied from, how they can order more and what to do in the event they are running low. Patients started on homecare should be told what to do if they miss a delivery or if they need extra supplies, for example, if they are going away on holiday. Hospital pharmacists can also ensure they hold minimal stock levels of more specialist medications for patients who need these dispensed on an ongoing basis, for example, specialist milk feeds and metabolic medications. A UK study showed that 11% of children treated at home by their GP receive at least one unlicensed or off-label drug. The reported incidence of off-label and unlicensed medicine use in paediatric practice varies widely ranging from 3.3% to 100%. Off-label and unlicensed medicines are more likely to be implicated in an adverse drug reaction than licensed medicines. These are usually initiated in secondary or tertiary care and parents are asked to see their GP to obtain further supplies. In practice, discharge information from hospital can often be delayed, GPs may not be familiar with the medications and there may be problems with ordering unlicensed medications from community pharmacies. It is important parents understand that these medications are not usually routinely kept in community pharmacies and can take time to order. Medication administration errors are the most common type of error in paediatric medicine. A study by Olufunmilola et al. found that a significant percentage of parents do not correctly administer medications to their children and do not administer medications at the correct intervals. In this study, nearly half of the parents stated that they gave liquid medicine with a household spoon. Errors with dosing can be critical, especially with medications that have a narrow therapeutic index. It may seem obvious to a healthcare professional, but this highlights the importance of ensuring that parents understand how to administer their child’s medications. Errors also occurred when patients are provided with different strengths of liquid medicines without them realising. This is more likely to occur with unlicensed medications. Parents are usually familiar with the amount of liquid their child has, but often will not know what the corresponding dose is. Therefore, if the strength of a liquid is changed, perhaps due to selection of a different formulation, parents may administer an incorrect dose. Children taking tacrolimus suspension, provided as an unlicensed special following liver transplantation, have required readmission to hospital with graft rejection, because lower concentrations of the liquid have inadvertently been prescribed and the same volume has continued to be administered. Therefore, pharmacists must ensure they communicate to parents any changes to a child’s medication. Parents should be alerted to the fact that a different strength of liquid has been supplied and that the volume of liquid needed will therefore also have changed. Further challenges can present if parents are unable to read, or if English is not their first language. Pharmacists should not assume that parents know how much to give. Unlicensed medications and specials should act as a trigger for pharmacists to ensure that parents know how to give these medications. A qualitative UK study of parents’ experiences found that parents indicated that clinicians tended not to explain the risks of medicines when the medicines were prescribed. Parents also reported that although they were given patient information leaflets they found them hard to engage with because the documents were either too lengthy or did not seem relevant to their own child. Some may argue that by telling parents about potential adverse effects they may either decide not to give their child the medication or that they are more likely to feel their child has experienced an adverse effect. However, the study found that in the context of poor communication, the experience of a suspected adverse drug reaction sometimes coloured parents’ views about medicines, and some expressed reluctance to give certain medicines to their child in the future. has patient information leaflets that are specifically written for parents and carers about how to use medicines in children. Pharmacists can use these as a tool to help communicate important information to parents. Sometimes parents can be overwhelmed with information, so written information can be extremely beneficial, as it can be referred to at a later date. In addition, pharmacists should ensure that parents are aware of the most common adverse effects and what to do if their child has any of these. It is useful for parents to know what adverse effects can be managed at home and which would need referral back to a GP or to the hospital. Wijlaars L, Hardelid P, Woodman J et al. Contribution of recurrent admissions in children and young people to emergency hospital admissions: retrospective cohort analysis of hospital episode statistics. Arch Dis Child 2015;100(9):845–849. Centre for Pharmacy Postgraduate Education (CPPE). Children and young people’s medicines. University of Manchester. NHS Health Education England. 2014. Boztepe H, Özdemir H, Karababa Ç et al. Administration of oral medication by parents at home. J Clin Nurs 2016;25(21–22):3345–3353. Levetown M; American Academy of Pediatrics Committee on Bioethics. Communicating with children and families: from everyday interactions to skill in conveying distressing information. Pediatrics 2008;121(5):e1441–1460. Street RL. Physicians’ communication and parents’ evaluation of pediatric consultations. Med Care 1991;29(11):1146–1152. Paton J. BTS National Paediatric Asthma Audit Summary Report National Audit Period: 1 November–30 November 2015. British Thoracic Society. Radic SD, Milenkovic BA, Gvozdenovic BS et al. The correlation between parental education and their knowledge of asthma. Allergol Immunopathol (Madr) 2014;42(6):518–526. Wolf FM, Guevara JP, Grum CM et al. Educational interventions for asthma in children. Cochrane Database Syst Rev 2003;(1):CD000326. Brown JV, Bakeman R, Celano MP et al. Home-based-asthma education of young low-income children and their families. J Pediatr Psychol 2002;27:677–688. Masters I, Meertens R, Kok G et al. Effectiveness of a multidisciplinary education protocol in children with asthma (0–4 years) in primary health care. J Asthma 1994;31:347–359. Partridge MR. Patient-centred asthma education in the emergency department: the case in favour. Eur Respir J 2008;31(5):920–921. Haby MM, Waters E, Robertson CF et al. Interventions for educating children who have attended the emergency room for asthma. Cochrane Database Syst Rev 2001;(1):CD001290. Hunter L, Sidebotham P, Appleton R et al. A review of the quality of care following prolonged seizures in 1–18 year olds with epilepsies. Seizure 2015;24:88–92. Cuzzolin L, Atzei A & Fanos V. Off-label and unlicensed prescribing for newborns and children in different settings: a review of the literature and a consideration about drug safety. Expert Opin Drug Saf 2006;5:703–718. Bellis JR, Kirkham JJ, Nunn AJ et al. Adverse drug reactions and off-label and unlicensed medicines in children: a prospective cohort study of unplanned admissions to a paediatric hospital. 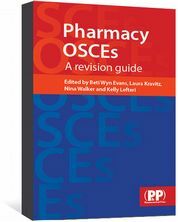 Br J Clin Pharm 2014;77(3):545–553. Abraham O, Brothers A, Alexander DS et al. Pediatric medication use experiences and patient counseling in community pharmacies: perspectives of children and parents. J Am Pharm Assoc 2017;57(1):38–46. Arnott J, Hesselgreaves H, Nunn AJ et al. 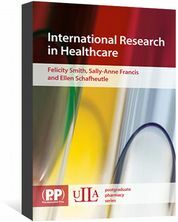 Enhancing communication about paediatric medicines: lessons from a qualitative study of parents’ experiences of their child’s suspected adverse drug reaction. PLOS One 2012;7:e46022. 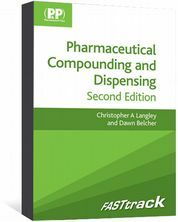 FASTtrack: Pharmaceutical Compounding and Dispensing helps the student compounder to understand the key dosage forms in extemporaneous dispensing.